Occasionally, a very important book is published. This is such a book. Sometimes a truly important book is not widely recognized as being of great significance, which, hopefully, will not be the fate of this excellent work. It is a hard volume to review because it is a compendium of essays written by 25 authors, each of whom can claim to be a leading specialist in his or her field, collectively providing a comprehensive perspective of a vital subject that impacts on the lives of every person in the world. Any compendium relies heavily for its success on the editor and this book has a team of three editors. The book was made possible by a grant from the Nippon Foundation, making it an affordable work, even for individuals who are not professionals working in the fields covered. 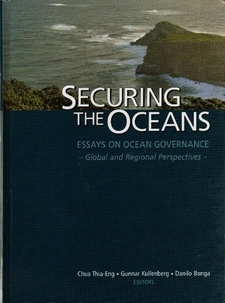 The collective subject is ocean governance, extending to inland waterways, such as the Great Lakes of North America, and the Seas of the Baltic and the Mediterranean. As most of the Earth surface is covered by water, it is difficult to think of a more important subject to humanity. Now that man has travelled to all of the land areas, colonized virtually all of them and widely exploited the land, attention is increasingly directed to the oceans as a source of food and other resources, where once the oceans provided only fishing and transportation routes. One has only to look to the territorial ambitions of some countries in the Arctic and the Antarctic, which are still largely unspoilt wildernesses. We are not greatly aided by the growing cult of Global Warming, which has sought to depict important subjects by increasingly crude and blatant propaganda that will only serve to create an equally negative backlash. In this book an international group of specialists sets out their individual perspectives on their own areas of specialization. It is refreshing to read 25 chapters of authoritative material that is not impenetrable text from academics writing for academics. The work is difficult to review because no reviewer will have the breadth of knowledge to comment on all of the perspectives with equal authority. Each chapter stands on its own and includes a list of references, but it also stands with its fellows as a composite work.